Keyword research should be the first step of every SEO strategy. Thinking about the words you want to rank for is really the first and foremost step you need to take. Still, keyword research can be quite daunting. So, which keyword research mistakes should you avoid at all times? In this post, I’ll talk you through the most common keyword research mistakes people seem to be making. Avoiding these mistakes will help you to set up a successful keyword research strategy. Doing proper keyword research can be a tough job. Perhaps you think that you don’t need to do it very extensively. You just know what your audience will search for, right? Do not make that mistake! Take some time to really dive into the language of your audience. Which words do they use? What terms do they search for? The result of your keyword research should be an extensive list of keywords you would like to rank for. Make sure to update your keyword research regularly. Your audience may change, as may your business focus and business needs. That could have implications for your keyword strategy as well. Make sure to aim for realistic keywords. Some niches are very competitive. Ranking in competitive niches is hard if you’re just starting your website or business. If you’re just starting out, you shouldn’t aim on the competitive ‘head’ keywords (yet). Instead, you should focus on long tail keywords (which are easier to rank for and have a higher chance to convert). For instance, if you start a blog about fitness it will be too hard to start ranking for the term ‘fitness’. Find out which aspects of your blog are unique and try ranking for those terms. Perhaps you are writing about fitness exercises for retired people. Aiming to rank for ‘fitness for retired people’ could be a good strategy. In that case, you should also aim for ‘fitness for seniors’, ‘fitness for older adults’ and so on. If you have been around in your niche for a little longer and you’re succeeding in ranking on long tail keywords, you could aim to rank for more head terms as well. Ranking for competitive keywords should be part of a long-term successful keyword research strategy. The keywords you are aiming to rank for should be the same words your customers use. You should always use the language of your audience. Imagine yourself selling dresses for gala events. In your marketing, you refer to these dresses as gala dresses. However, people do not search for gala dresses. They search for ‘gown’ or ‘evening dress’. 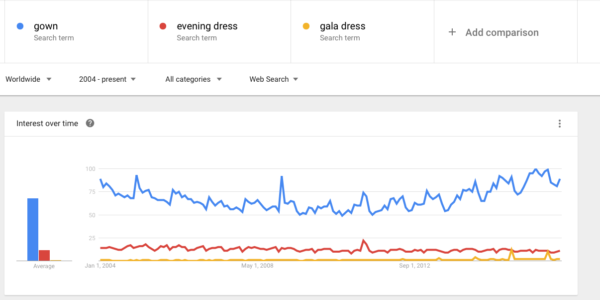 You won’t get much traffic for the search term ‘gala dress’ compared to the search terms ‘gown’ or ‘evening dress’. Always check whether you should use the plural or the singular form of a specific keyword. Should you aim to rank for ‘ballet shoe’ or for ‘ballet shoes’? Do people search for ‘holiday home’ or ‘holiday homes’. Always check whether you should use singular or plural with Google Trends. Whether you should use a singular or a plural depends on your specific keyword. Long tail keywords are a great way to start your keyword strategy. These words gain less traffic, but you’ll have a higher chance to convert your visitors into buyers or returning visitors. People that use specific terms to search for exactly that thing you’re writing about are just a very good match. However, if your keyword is too specific and doesn’t get any traffic, it won’t help your SEO. So make sure to aim for those long tail keywords that actually have some traffic! If you’re aiming to rank for certain terms, make sure to check whether you succeed. You need to evaluate regularly if people actually find your articles. In order to do so, you should definitely google your proposed focus keyword every now and then. Just check if your article turns up in the results. If you forget to evaluate, you don’t know whether you could aim for more competitive keywords or you should focus on long tail variants. If you write a decent blog post, you could aim to rank for more than one search term. If you’re able to do that (without just stretching it), you should definitely do so. For this blog post about keyword research mistakes, for instance, I am aiming to rank for ‘keyword research mistakes’ and on ‘successful keyword research strategy’. 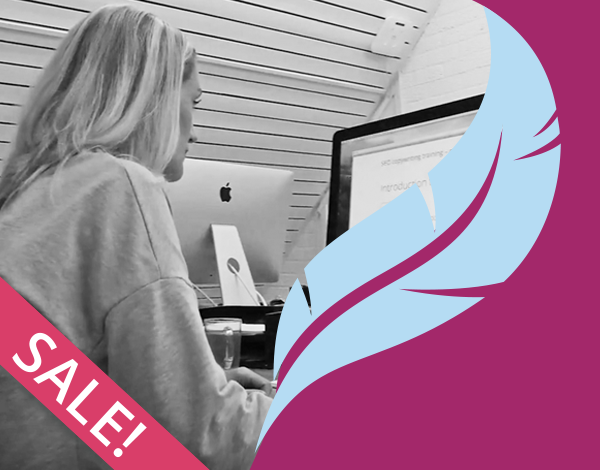 Our Yoast SEO premium plugin helps you to optimize your post for more than one focus keyword. Executing keyword research takes a lot of time. It’s important that you take that time and really think about the terms you want to rank for. Read Keyword research: the ultimate guide for lots of practical tips that’ll help you to set up a successful keyword research strategy.